Sometimes you want your rock n’ roll writ large with no frills, loud guitars and a very unhealthy dose of snarling attitude; an aural kick in the head to send shivers down the spine and trigger thunder in the veins. Praise Elvis, then, for the UK’s very own Eva Plays Dead. The monstrous, Midlands based outfit returned this summer with this, Sounds Of The Written Word, an EP that is raw and ready, bigger and bolder than anything the band have released before. From the descending opening riff of “Live Again” on, the five tracks here are unapologetically set to stun. EPD’s sound may be set firmly in the classic mould, but that’s not to say there’s anything staid about their music. Fast paced and thrilling, the contemporary production and driving dynamic thrust of the likes of “Wonderland” and “We Ain’t A Family” mean that both are sure to be massive crowd-pleasers when they are unleashed on tour this November. Check out vocalist Tiggy Dee’s hair-raising wail and guitarist Matt Gascoyne’s lacerating six-string licks in the closing of the latter track for proof. The EP’s themes run the gamut, from escape from ennui to gender politics and, in the case of the final track “1950’s Woman”, a raucous story-song about the life of a grandma told through the eyes of a doting grandfather recalling the fire of his once youthful love. The track’s fuzzy, bass-driven coda erupts out of nowhere just as you think the song is done and brings proceedings to a tumultuous close with the kind of choppy, staccato guitar hi-jinks that rock n’ roll was invented for. 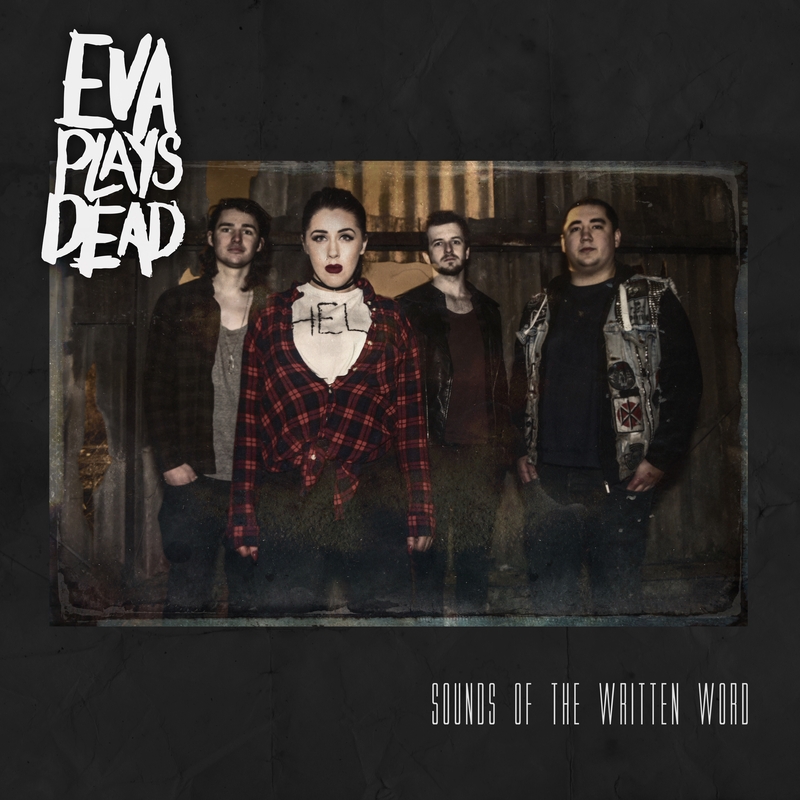 A hard rocking crew in the ascendant, building a solid back catalogue and working their proverbial balls off in the way that the best bands do, Sounds Of The Written Word presents Eva Plays Dead in their best light yet.